Front Royal is the Canoe Capital of Virginia. A dock on the south side of Christendom’s campus provides access to the Shenandoah River for college-maintained canoes and kayaks. 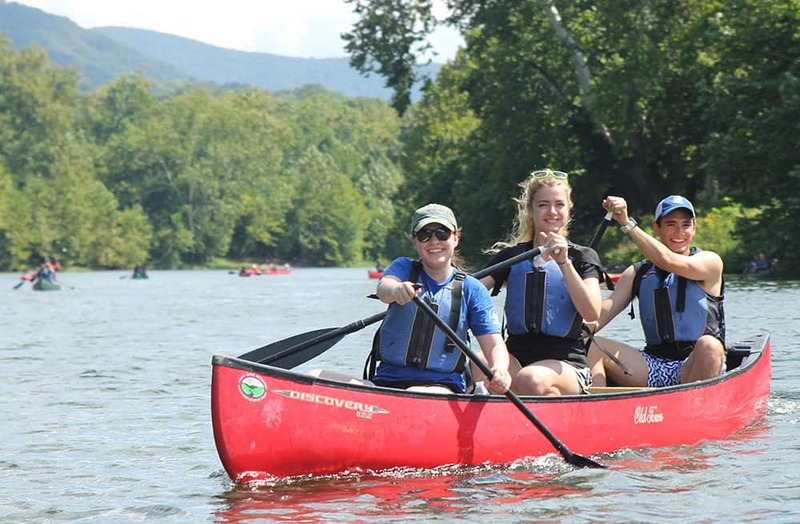 Just a few miles from campus, FRCC offers an adventure in a canoe, tube, kayak or raft on the South Fork of the Shenandoah River since 1969. Downriver Canoe Company invites you to join us for an unforgettable day of fun and adventure on one of America’s most beautiful rivers. In business since 1974. *N.B. This is not an official program of Christendom College.